The Chrysler Group has just officially announced the Fiat 500 Sport will be coming to America, but what does this European-imported MINI-fighter include? Sportier styling, new wheels, and a speedometer measuring in "miles per hour" for starters. The Fiat 500 has been tooling around Europe since 2007, but following Fiat's purchase of Chrysler and the gas crisis, a compact was needed in US. 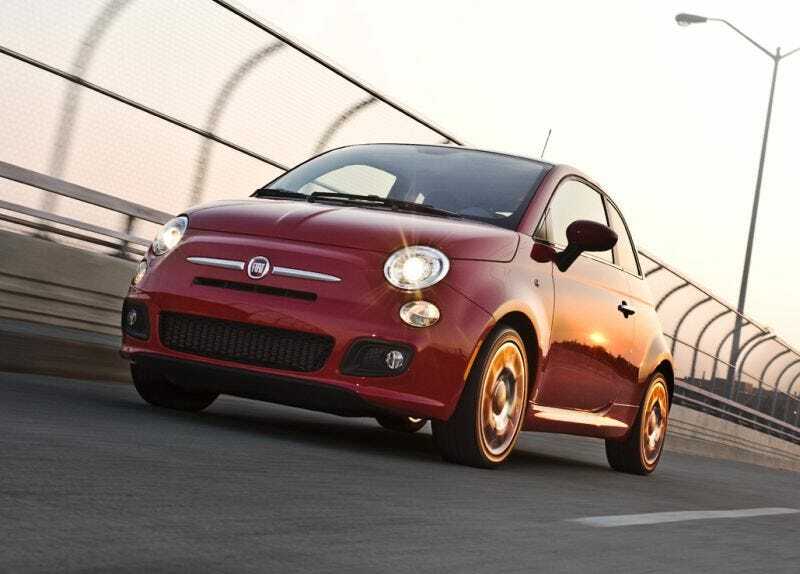 Enter the Fiat 500. Like the MINI, it leans heavily on the original design from 1957 but this new car is a thoroughly modern affair. The car gets new fascias all around, 16-inch wheels, a giant sunroof other assorted baubles. We're hoping it also gets the the Euro-spec car's fantastic interior. The power will come from Fiat's brand new turbocharged 1.4-liter MultiAir engine, but no word on domestic horsepower yet. Let the retro-fantastic mini-car wars begin!